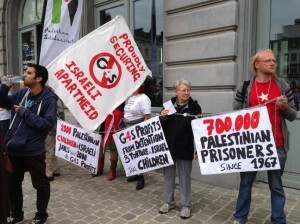 Dozens of activists took to the streets on June 26 to inform people in the area around the European institutions about G4S’ complicity in the detention of Palestinian children. 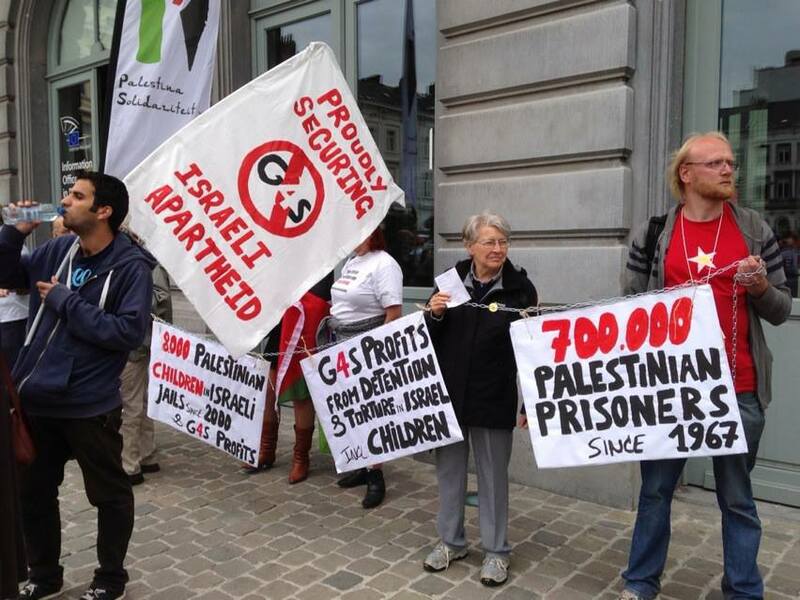 The activists denounced the fact that G4S is still being awarded contracts even when its complicity in the detention and torture of children by Israel has been documented extensively. MEP’s came out in support of the demonstration at which Addameer, a renowned Palestinian human rights organisation was represented by Sahar Francis – to stress the urgency of the matter. G4S is the world’s largest private military and security company. One of the issues receiving worldwide media attention is G4S’ provision of services to the Israeli police, Ministry of Defence, Prison Service, army, as well as to businesses in settlements. G4S also provides security services to the detention and interrogation facilities of the “Russian Compound” in Jerusalem and the “al-Jalameh” detention centre next to Haifa where Palestinian teens are interrogated. Commission awarded its security work to G4S for 237.8 million euros, ending its previous arrangement with Securitas.